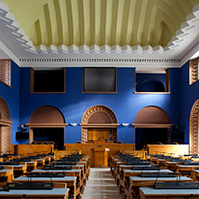 Chancellor of Justice Indrek Teder replied to the interpellation concerning ownership reform (No 77), submitted by Members of the Riigikogu Helle Kalda and Ain Seppik on 11 June. 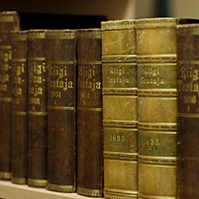 The questions of the interpellators concerned proceeding of the applications for the restitution or compensation of the property which had belonged to the persons who left Estonia under the contracts concluded with the state of Germany, and the problems of the so-called “forced tenants” and the possibilities of arranging compensation by the state. 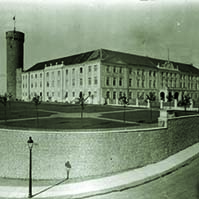 Teder explained that, on the basis of the Supreme Court decision, the applications concerning unlawfully expropriated property of resettlers to Germany should be approached on the bases and pursuant to the procedure provided by the Principles of Ownership Reform Act. The Chancellor of Justice observed with regret that the Supreme Court had even criticised the activities of the Government. Namely, the Government has failed to repeal clause 12 of the procedure for restitution of unlawfully expropriated property approved by the Regulation of 5 February 1993 referring to subsection 7 (3) of the Ownership Reform Act, but this provision being formally in force does not hinder proceeding of the applications. Teder pointed out that tenants could not have had legitimate expectation to privatise the dwellings which they were using. “It is no doubt possible that tenants of the unlawfully expropriated houses which had belonged to resettlers to Germany have developed a legitimate expectation that the state would clear up the vague situation within a reasonable period of time. The rules for compensating for damage are mainly provided in the State Liability Act,” said the Chancellor of Justice. 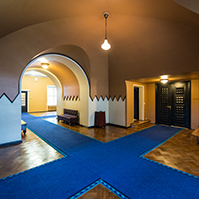 In the opinion of Teder, if the Riigikogu wishes, it can also decide the issues relating to payment of a fair compensation to tenants of the unlawfully expropriated property of resettlers to Germany. The Chancellor of Justice noted that if a tenant who is living in a restituted dwelling does not see any possibility of solving his or her housing problem for example by removal allowance or housing loan, then he or she has the right to obtain a dwelling from the local government within a reasonable period of time. “The ownership reform must be completed,” said Teder. Minister of Agriculture Helir-Valdor Seeder replied to the interpellation concerning direct agricultural support (No 80), submitted by Members of the Riigikogu Arvo Sarapuu, Toomas Varek, Kadri Simson, Lauri Laasi, Toivo Tootsen, Kalev Kallo, Olga Sõtnik, Jüri Ratas, Nelli Privalova, Enn Eesmaa, Helle Kalda, Valeri Korb, Lembit Kaljuvee and Tiit Kuusmik on 10 September. The interpellators enquired what the Government’s policy was with regard to the future of direct agricultural support. Seeder explained that until 2013, that is, until the end of the current financial period the payment of funds from the European Union budget and with co-financing from the budget funds of the Estonian state amounted, on the average, to 2 billion kroons a year within the framework of the rural life development plan, and direct agricultural support and additional supports accounted for approximately a billion and a half kroons a year. 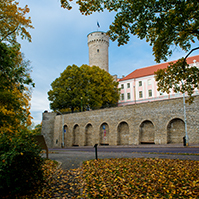 This has also been agreed upon in the European Union accession treaty which sets out how the European Union supports increase and to what extent the additional supports by the Estonian state decrease. Direct support by the Estonian state is going to reduce to amount to 0 kroons by 2013. Seeder said that the Ministry of Agriculture did not foresee any significant changes in 2009 and 2010 in comparison with the state budget strategy approved the previous year which had been based on the European Union accession treaties and the agreements set out therein. We wish that all agreed supports from the European Union budget would be paid in full amount and today there is no reason to doubt that it may not be so in the coming years. “Despite the complicated economic and financial situation, there has been no mention of changing of the European Union budget and I have no grounds to believe that these supports might decrease. As to domestic financing which depends on the Estonian state budget, then I can assure you that all domestic support will very likely continue in the planned amount,” said Seeder. 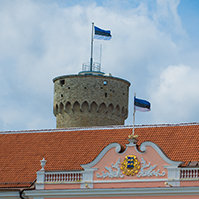 The Minister of Internal Affairs Jüri Pihl replied to the interpellation concerning selling of state enterprises (No 81), submitted by Members of the Riigikogu Kalle Laanet and Jüri Ratas on 11 September. During the open microphone, Mailis Reps, Jaan Kundla and Kalle Laanet took the floor.